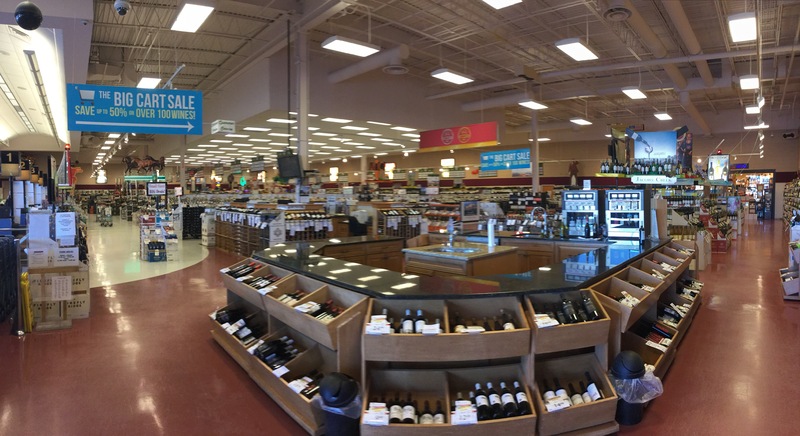 It’s still flooding down here in Texas folks, and we’ve completely abandoned our plans to head over to Houston to see our mates at Specs central in Smith Street – tremendous ‘one stop and I’m not kidding shop’ for beer wine and spirits in Downtown Houston. The roads are jammed, highways still closed, and it’s all just to unpredictable with the rain and lightning storms that keep sheeting through. It started just like this yesterday, and cleared to a lovely afternoon – let’s hope it goes the same way today. 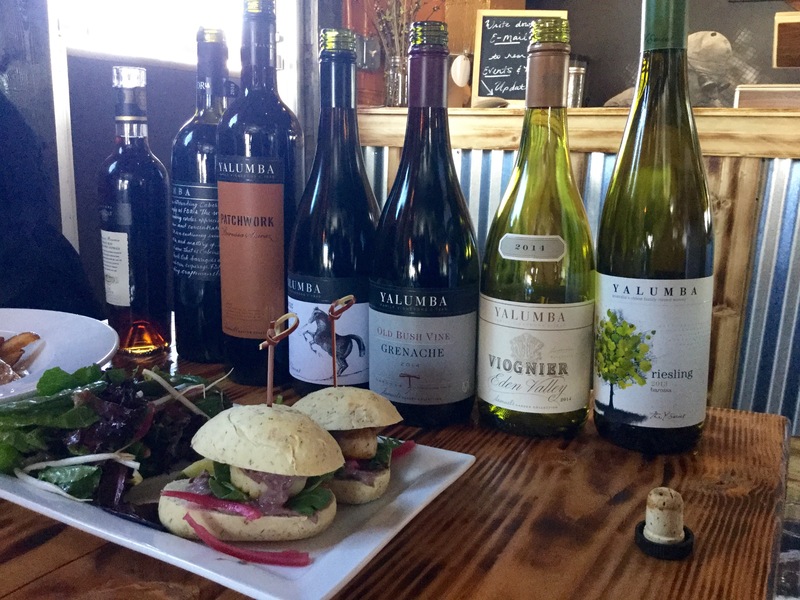 We did the ‘Australia Today’ seminar and trade tasting at the Vine Vault in downtown Austin yesterday, and we had a terrific response. Of a sales team in this area of about 35 people, no one had been to Australia at all, so as an exercise in trying to bring our wine country to these folks – it worked really well. With the genuine wave of interest in our wines right here, right now…..the thing to do will be to keep up ‘our’ – as the Australian wine industry first, regions second, and wineries third……just to maintain the moment – for as long as we possibly can. So I think we should all keep our bags packed, and hope that the weather co operates! See you tomorrow when hopefully my plane will fly, and we’re off to Orange County. Morning folks, it definitely is flooding down here in Texas – in the immortal words of Stevie Ray Vaughan. I had a very ‘lumpy’ flight down to Dallas from Chicago on Saturday night late…..and a very ‘tail heavy drag along then bang the nose down’ landing at DFW airport – and we were probably one of the last flights allowed to land. Well done the lady captain on United UA782….really well done! 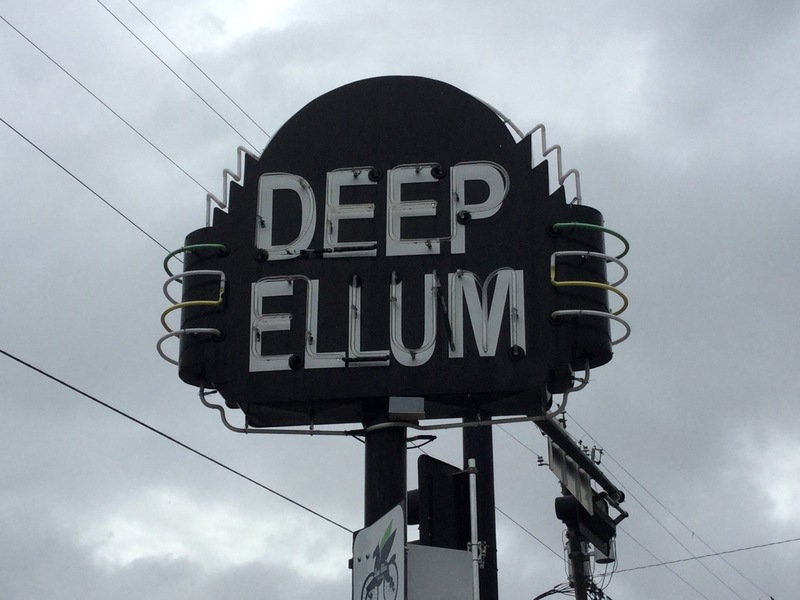 Then Dallas had on and off torrential rain and lightning storms all day Sunday, so I went across to Deep Ellum, an old inner city warehouse district that’s having a massive revival, and hid out for the day. Just walking along Main Street, it was the All Good Cafe that looked too good to go past…. And at the All Good Cafe – I was introduced to the real Texas style chili – no beans, all meat, tomato, spice and cooked down gravy. 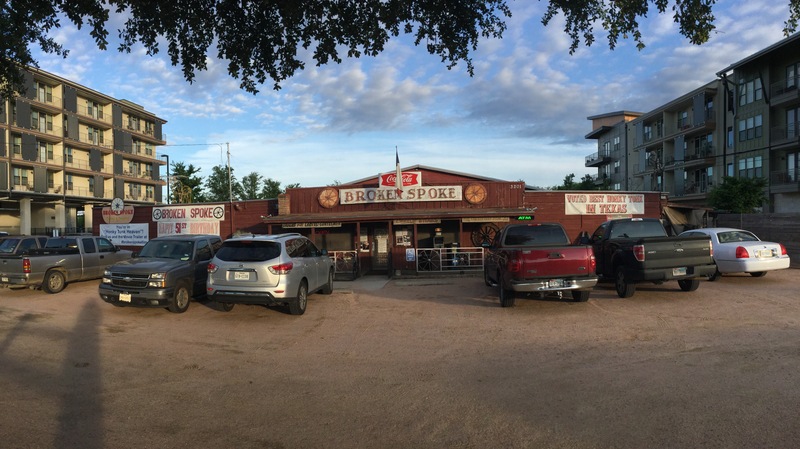 The story goes that the cafe’s owner went to the legendary Terlingua Chili Cookoff, tried every chili there, and morphed the best of everything into the All Good version. And my opinion? It’s the best chili I can recall having in this country – all slight sting and slow burn……in a good way! 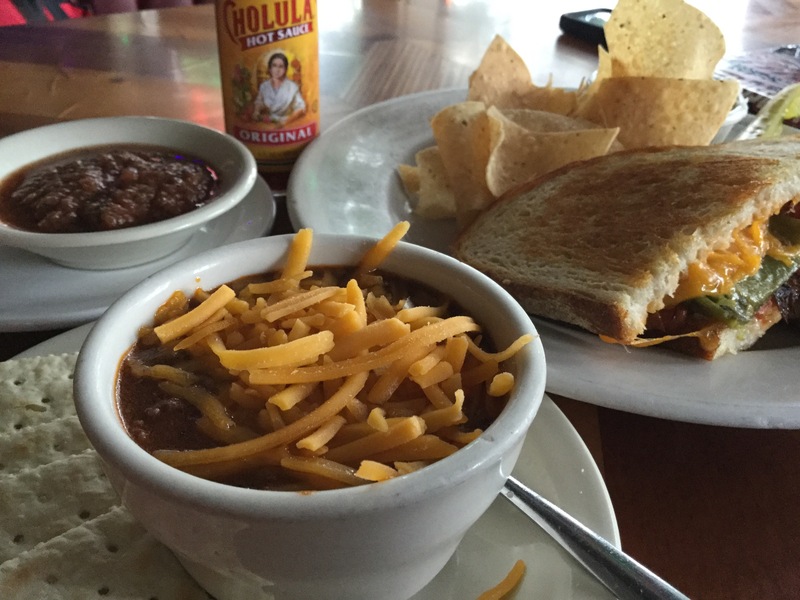 And behind that cup of chili is a grilled cheese sandwich, loaded with roasted green chiles. I chased part the green chile cheeseburger trail in New Mexico last year, and it was my first time with this particular flavour – unique to these southern parts, probably transplanted from Mexico. I definitely need to start growing them in the Barossa. 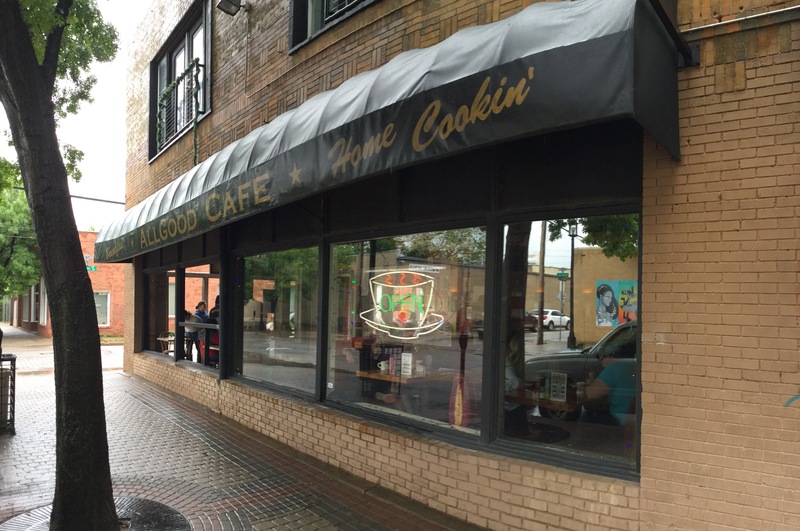 And next time I’m in Dallas, the All Good Cafe will definitely be on the list. 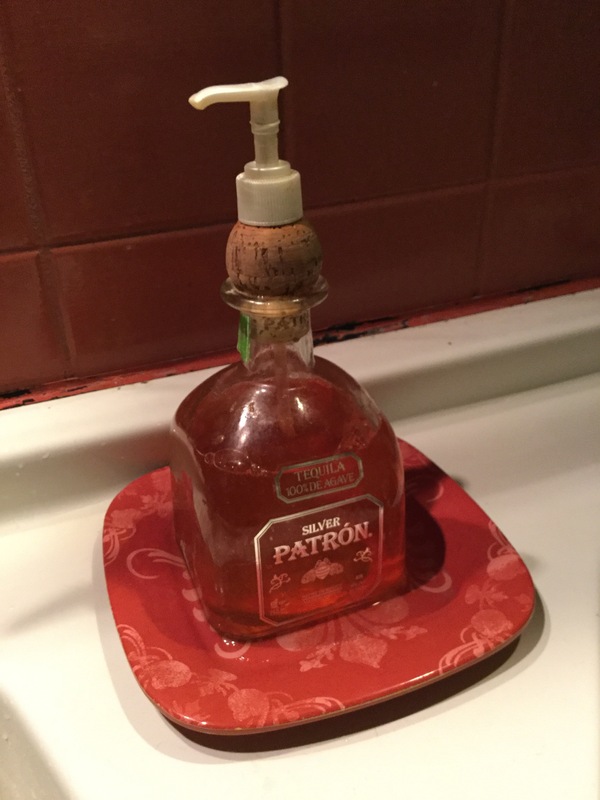 Apart from anything else, you have to love a place that uses empty Patron tequila bottles as the soap dispenser in the bathroom! That’s style right there! Back to the hotel, and an early night as the rain belted down, and the sheet lightning sat for seconds in the sky. Packed my gear and checked out on another stormy morning in Dallas, was picked up by the Australian Wine Biard educator for the North American region – Mark Davidson – and off to a local donut spot for a quick breakfast sandwich breakfast…..
And on to the venue for our “Australia Now” event – 20 different Australian wines presented to the Glazers distribution sales team and local trade for the Dallas region in a ‘walk around’ tasting…..preceded by a two hour Masterclass for the reps alone. The Masterclass was a wine set snapshot of what’s happening in Australia today, hosted and comments by a panel made up of Mark Davidson, myself, Matt Lane – VP for the Americas for Torbreck, and D Lynn Proctor – Penfolds Winemaking Ambassador and supperstar sommelier from the ‘Somms’ movies. 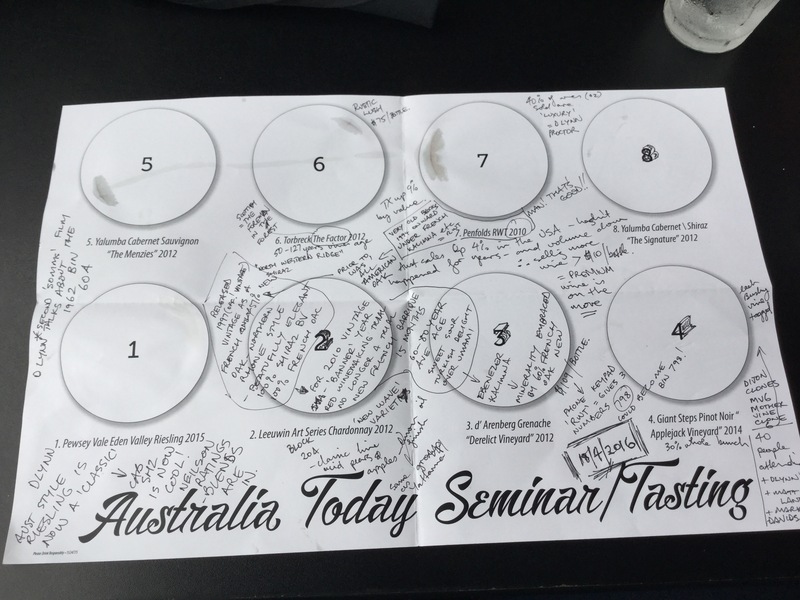 Excellent session, with most reps not having been to Australia, or ever having the opportunity to see such a range of premium Australian wines open in the one spot. Across the board there were so many ‘I just didn’t know that this is what Australia did or tastes like’ comments, and there was a genuine residual excitement about the whole Australian wines of some provenance story, so mission seriously accomplished. 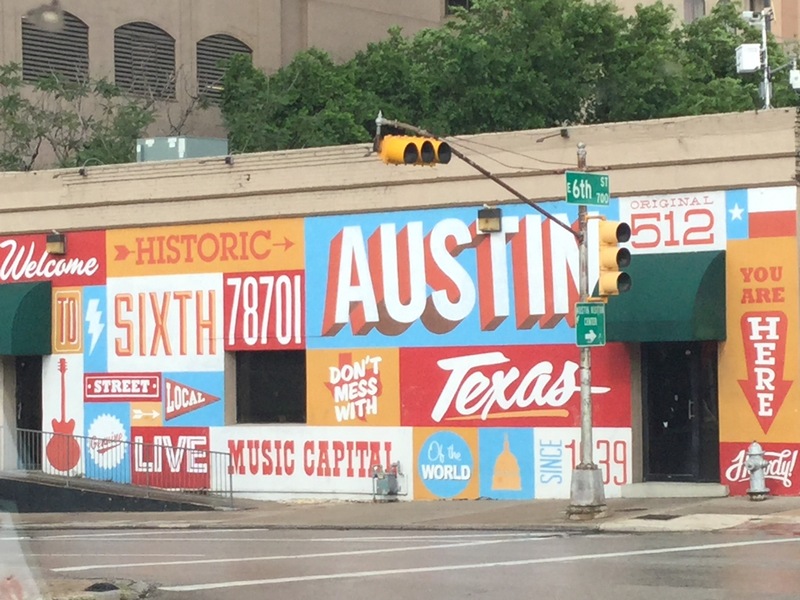 Tomorrow we will repeat the same event here in Austin. 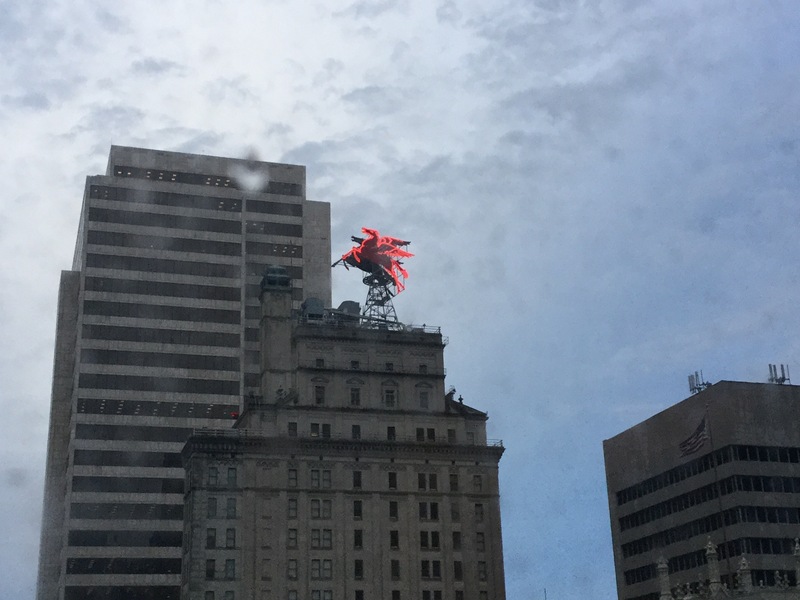 We were going to do the whole event in Houston as well – today as a matter of fact, but seeing as that city is more or less under water from the completely un seasonal storms, with a state of emergency in place – we cancelled yesterday afternoon and came straight through to Austin last night. 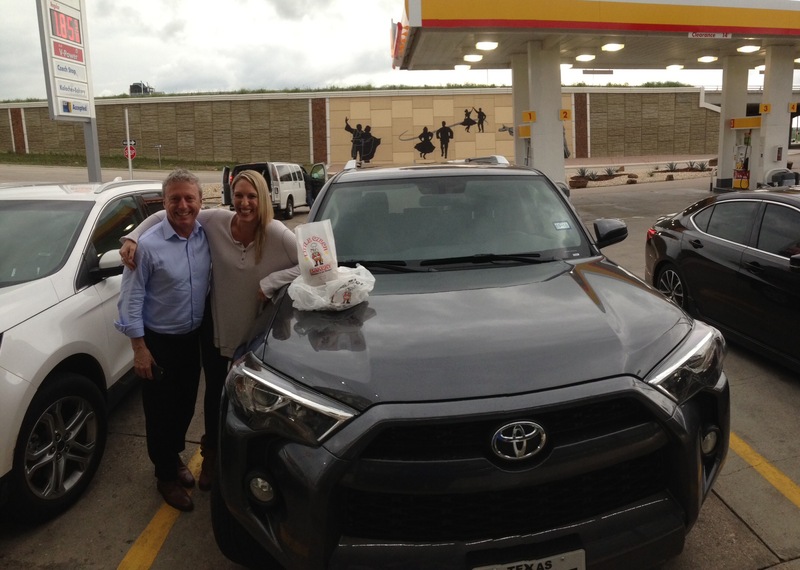 We stopped at West, a little town off the highway, as they make pretty great ‘kolaches’ – the local fruit filled sticky buns. 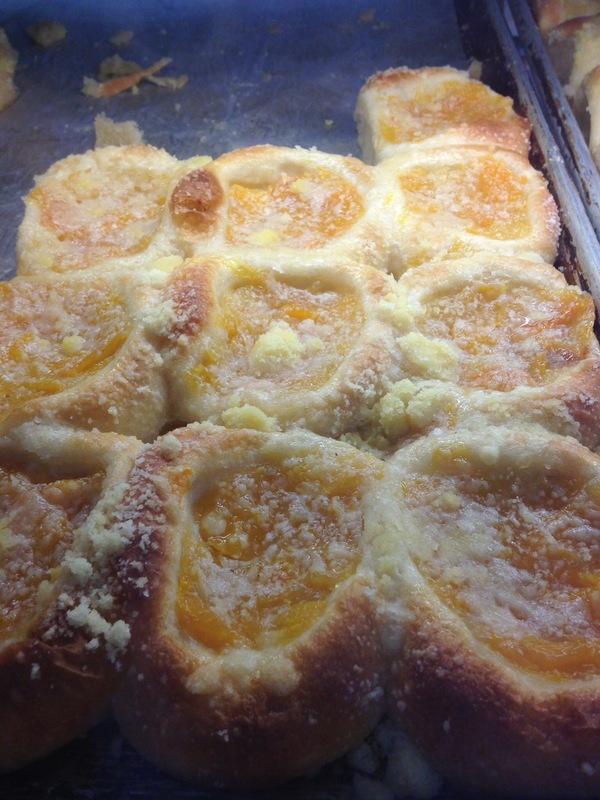 These folks, are a slab of pull apart fluffy Kolaches – peach flavour. 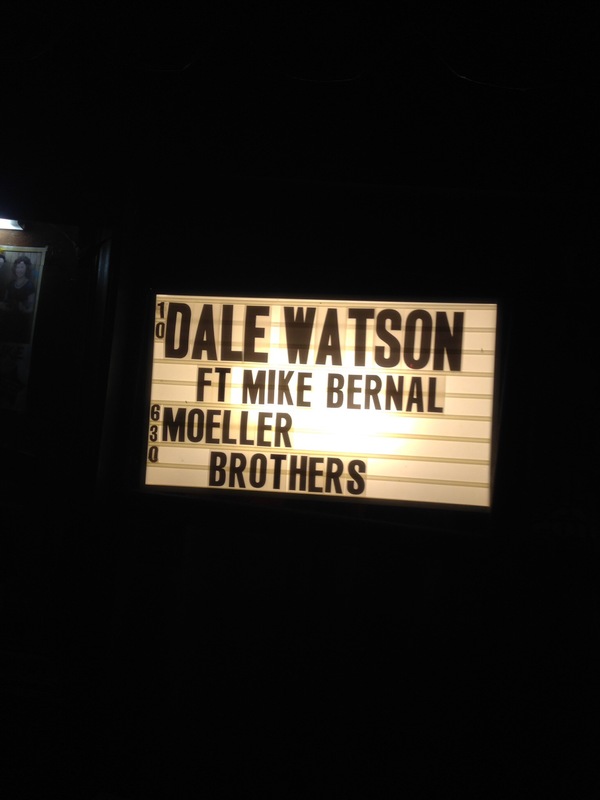 Lucky for us then that the late show at The Continental Club was my favourite American performer – Dale Watson, the Texan Troubadour, and his Lone Star all session muso backing band. So quite the fitting Texas honky tonk finish really to an Australian Wines on display day. See you when it’s Wedensday and we’re doing it all again. Morning folks, and it’s time for an egg breakfast! It’s been a very big week since leaving New York City on Tuesday morning – four flights – touching down in Des Moines IA, St Louis MO, and Chicago IL. 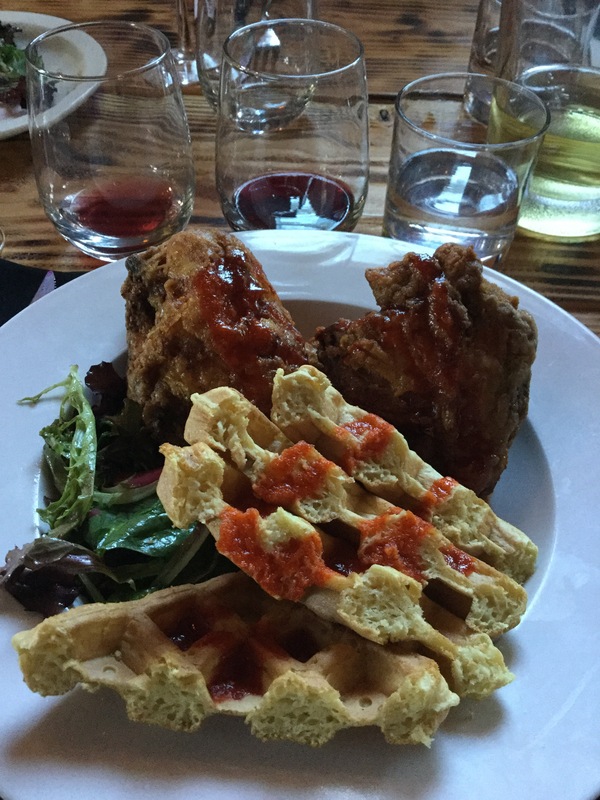 And we’ve done well……won a huge list of hearts and palates in Iowa and very much looking forward to being back in pork and corn central come August 2017, and did much the same across the last couple of days in Chicago and its outlying centres of La Grange and the North Shore. 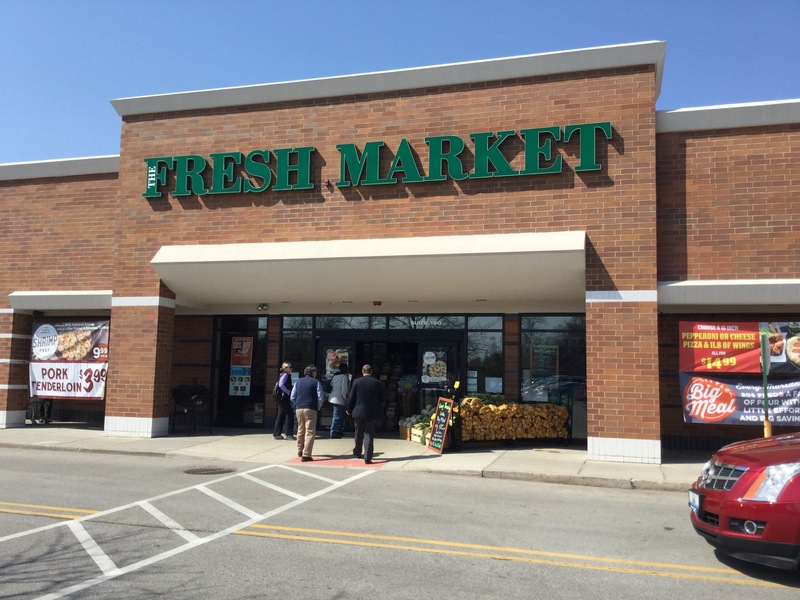 But now it’s down to our last event today – an in store consumer tasting from 2 – 6pm at Mainstreet Wines. Unfortunately I’ll have to leave a bit early with my bags at 4.30pm as I have the evening flight down to Dallas, but I’ll talk my face off to and pour our wines for anyone who comes in the store whilst I’m there. Thanks a huge amount to Mainstreet for the opportunity to talk to their wine loving clients, and to my Negociants USA colleague Anthony, who will be ‘finishing off my shift’ whilst I zip off in a taxi to the airport. Fortunately for us, Anthony is Australian, so has exactly the right accent and wine knowledge to ably do the job. 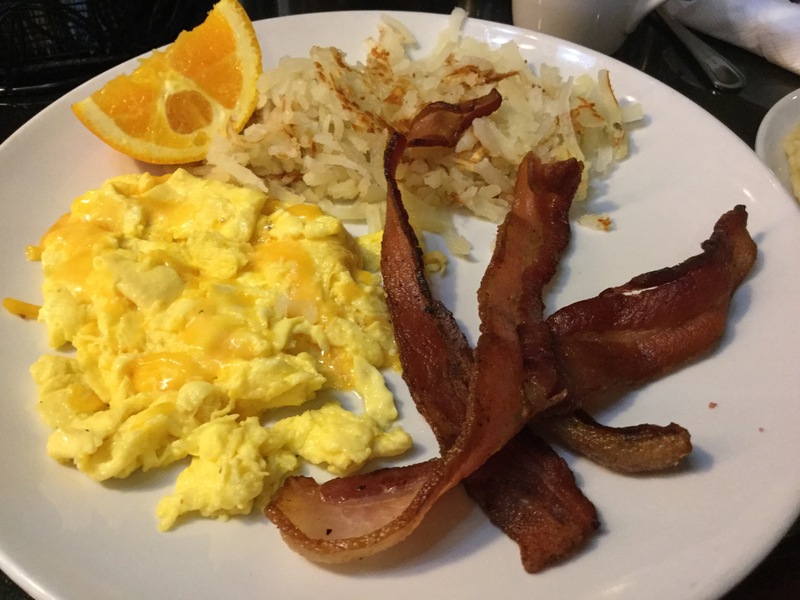 So, scrambled eggs with cheese, one piece of maple wood smoked bacon – will be leaving the hash browns and the rest of the bacon – and I’ll be set up for the day! Thanks Eggsperience Cafe! So before I sign off, just a quick note for the folks who have been following the adventures of our ‘Indiana Jones horticulturalist’ family ancestor Fred Caley Smith. Fred was here in Chicago in October 1893 for the last week of the World’s Fair exhibition, and because the town was absolutely bursting with people from all over the world – attending, exhibiting and working the World’s Fair, Fred had to stay in a lodging house, and from his letters the address was 226 West 53rd Street. 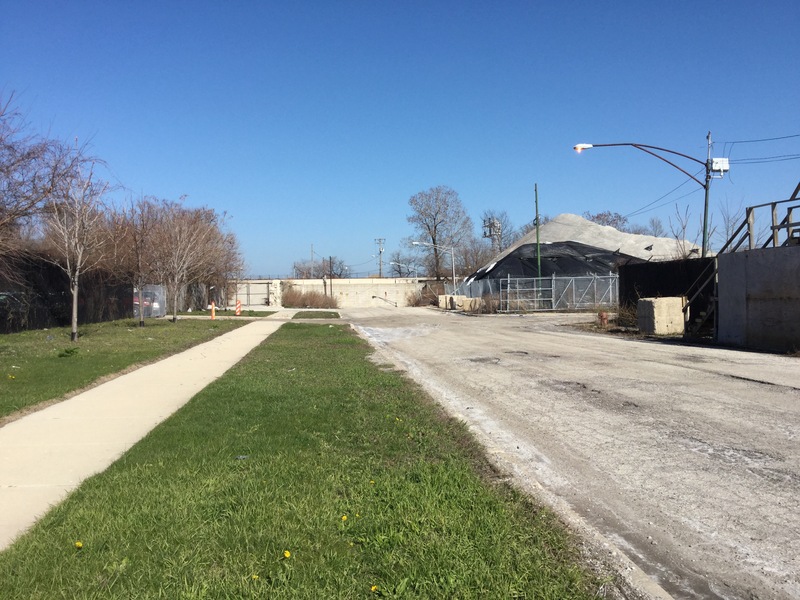 On the map, this is a short walk from Washington Park, which was connected to Jackson Park by the ‘Midway Plaisance’……all still there as parklands today. 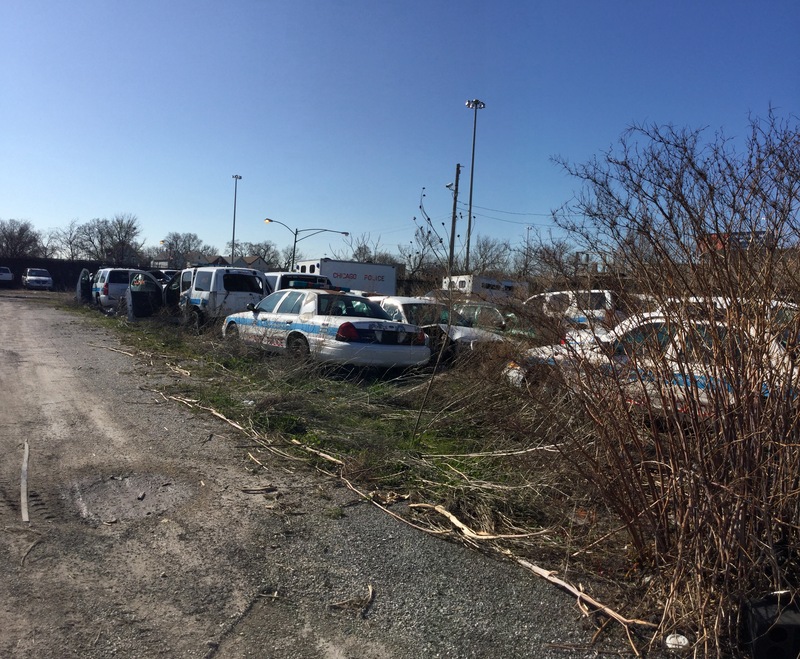 So yesterday afternoon, I headed off on the public transit to see if the building was still there, to do another ‘in the footsteps of Fred Caley Smith’ moment. After the success of similar ‘investigative treks’ in London, New York and Edinburgh…..it’s been really interesting to see parts of those cities very much as they were, and to be able to be in the same old hotel bar – exactly the same, or a 998 year old cathedral also very much unchanged – and travel in the footsteps of someone doing much the same thing for the family business Yalumba – 120 years down the track. Well, sooner or later, I had to run into a brick wall….literally! 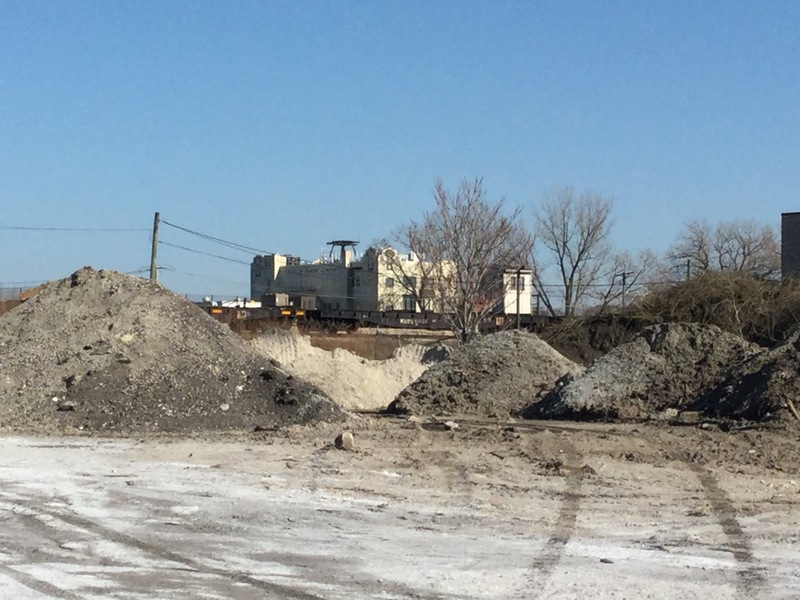 Only this time it was a concrete wall…..the bed for the Amtrak railway line heading south out of Chicago for Louisiana, carrying the train made famous in the Woody Guthrie song ‘the City Of New Orleans’. Here’s my trek in pictures, they pretty much tell the story…. 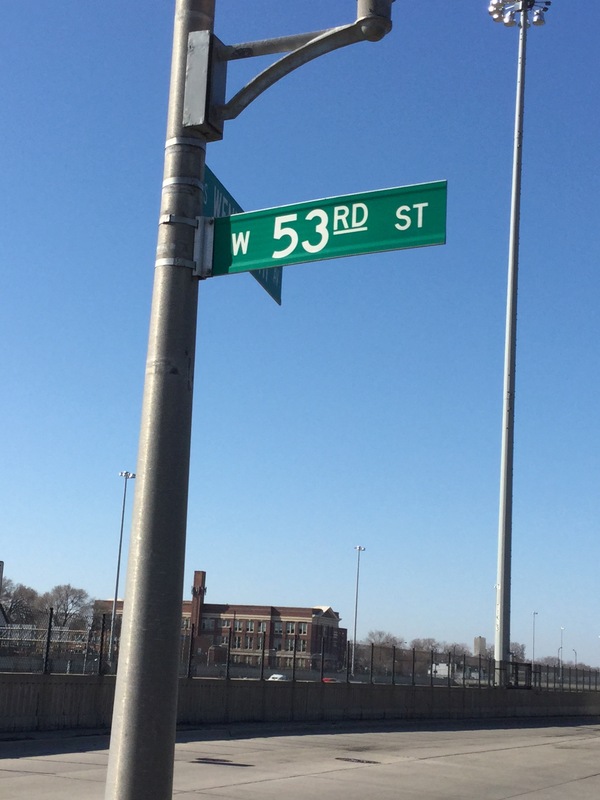 But I find West 53rd Street, and already I’m disappointed, as you can see the whole area is very modern roadway and kerbing, and there’s some sort of car yard behind chain fence…….I suspect the whole area was demolished years ago to allow for the Intersate to go in….. The old Schulze Baking Company building on the other side of the tracks, was built in 1914, so after the World’s Fair, and Fred’s visit. And it was about now that the words of that Jim Croce song popped in to my head…. 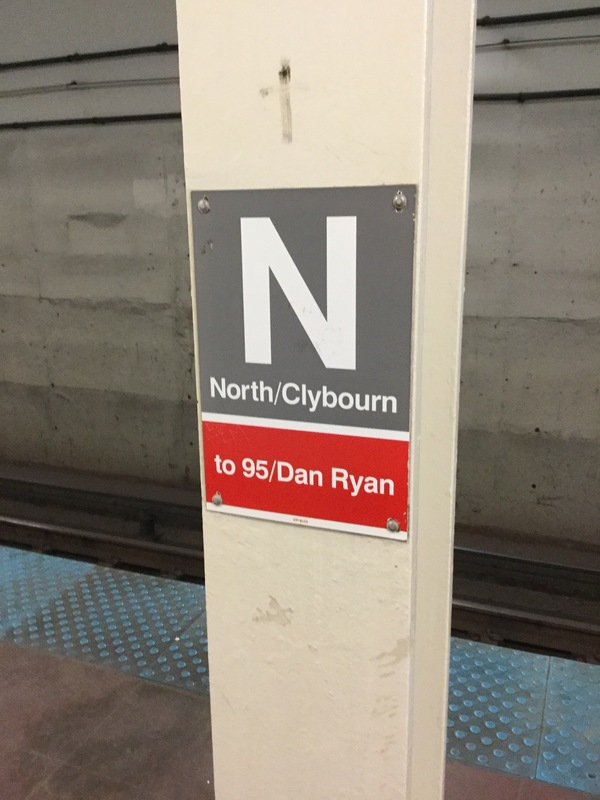 So thinking it was a good idea to head back to the city, I hopped back on the train, and left the Washington Park – Midway – Jackson Park visit for the next trip…….and a rental car. I’ll dig up Fred’s fabulous notes on what it was like to be there at the time, and we’ll see what’s left of the enormous pavilions and gardens of the day. 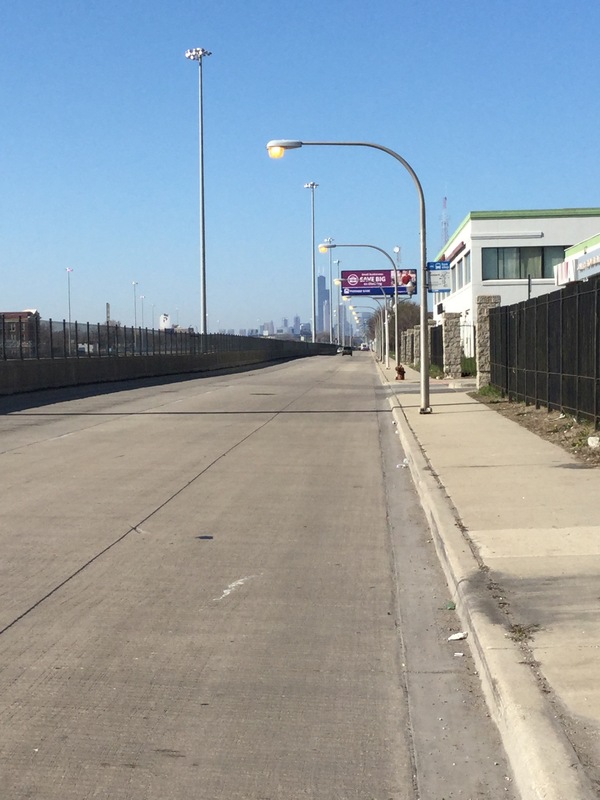 But for now….it’s off to the Post Office, finish packing, Mainstreet Wines, and see you later Chicago. And look what’s on the shelves…. Excellent with pad Thai, Cajun shrimp (we’re on the deck in the USA now folks, so we’re going with the local words…prawns for us) , shrimp cocktail with marinara sauce, shrimp tacos (my favourite, especially loaded with chipotle mayo! ), and anything from the raw bar. Not forgetting smoked salmon! Also on the shelf, and my pick for short ribs – done any way at all, and preferably with sweet potato fries! 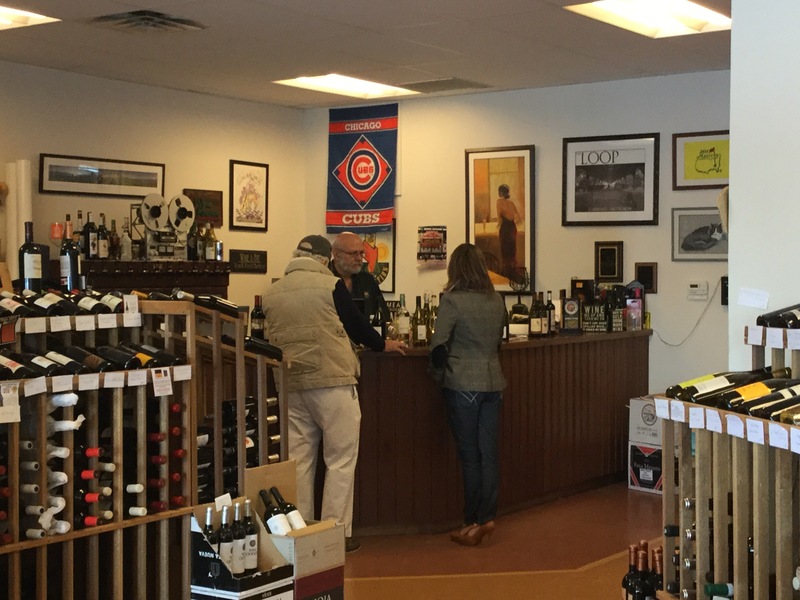 On to an old friend at Grayslake….Phil at ‘Wine Knows’…..and he does…..know good wine! PS and we’re back on the air with Stuart Stansfield – ABC Regional Mt Gambier – tonight….’live’ from that dinner. 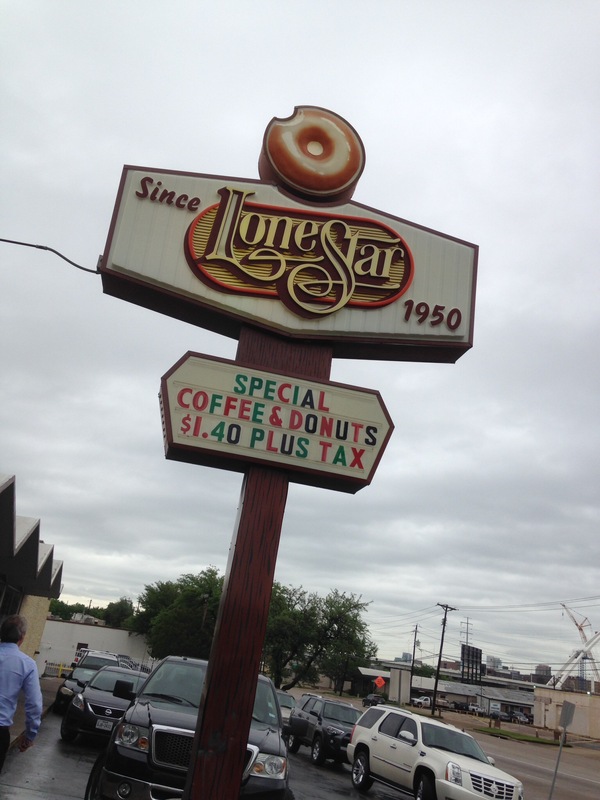 Last time we called in, we were in Des Moines, Iowa….fabulous Pork and corn country. 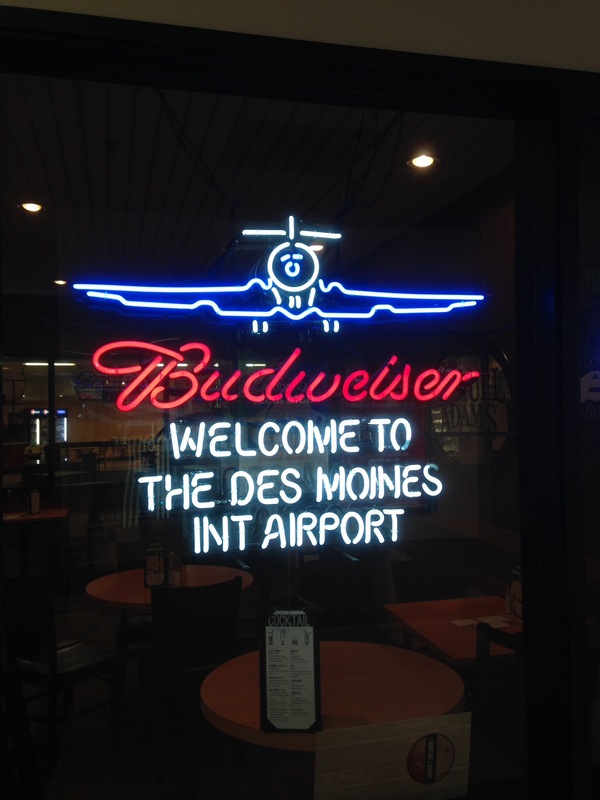 Des Moines, Iowa……we’re in corn country now. Evening folks, and we’re in the Corn and Pork state now. In the airport shops, all the t shirts were things like ‘I love bacon’, ‘Got Pork?’, ‘Got Corn?’…..so it looks like those are the two top flavours in this part of the Midwest – which suits me down to the ground! I’ve always been a big fan of corn on the cob, and never seen it done quite like they do at the Minnesota State Fair, where I was lucky enough to catch the last Sunday of the fair two years ago.They have massive grilling ‘elevators’ to get the corn hot, they finish them on a charcoal fire, strip the leaves down into a hand grip, dip the whole thing in a tube of salted butter, and the whole thing is served to you in a paper holder! If this is eating vegetables – then I’m in! But we’re in Iowa now – The Corn State – and it’s spring time, so they’ll be looking for clear sunny days like yesterday and today to kick start their corn growing season. With these dinners, sometimes you end up working with chefs that produce three dimensional food sculptures, and I’m convinced they’ve tried to include every possible ingredient alpahabetically! 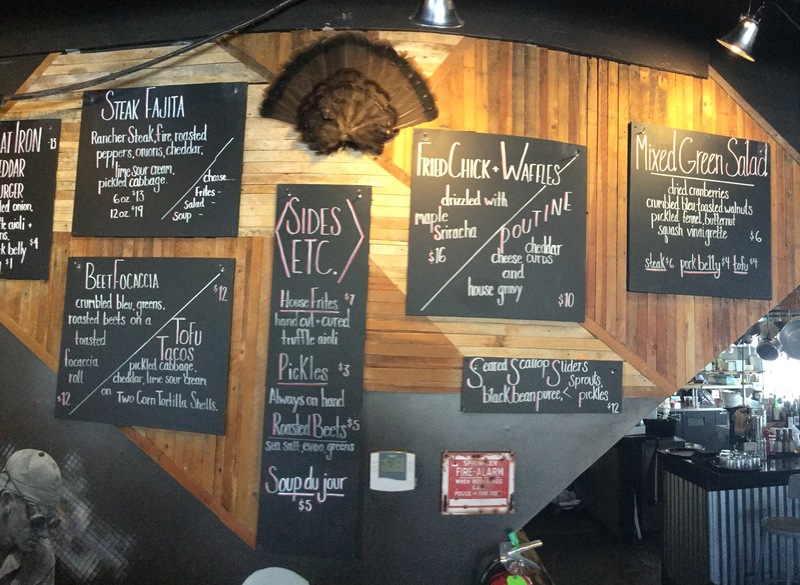 Well, last night we were lucky enough to have the complete opposite at the stoves – Chef Terry Boston. 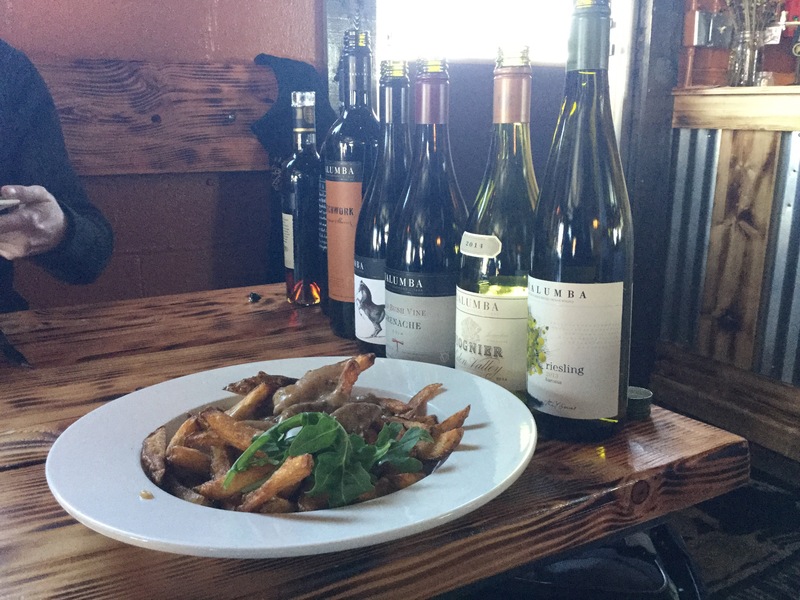 As soon as I saw the menu, you could see that Terry had tasted the wines – nailed a feature aroma, flavour, or texture – and put the matching dish together accordingly. This was evident on the plate as soon as the canapés came out. With our 2015 Y Viognier looking quite apricot and tropical at the moment, something as simple as the dried apricot topped goats cheese was a mini flavour bomb! And we are going to take the tempura avocado wedges back to the winery as a canapé for our kitchen – spot on! I apologise for not taking a single photo of the food – I was a very busy bee getting around all the tables last night – everyone wanted to have a yarn and ask 20 questions! So I’m just going to give you the highlight crossovers – please use the menu below as the guide! When it says ‘pineapple carpaccio’ for the Roussanne – take one pineapple, skin it, rub in brown sugar and spice, and slow bake it in the oven, basting with brown butter and sugar every hour or so, until the core is soft. Then cool, cut into paper thin slices and drape it over the chunky creamy monkfish! Yes….is the easy answer to ‘how did this match the wine’. With the Strapper being a Grenache + Shiraz + Mataro blend, Terry has picked up on that initial lifted raspberry over Rosemary that’s all the Grenache, and matched it with the raspberry touch up to the risotto.For a lot of folks – this was their top combo of the evening. It didn’t end there though. 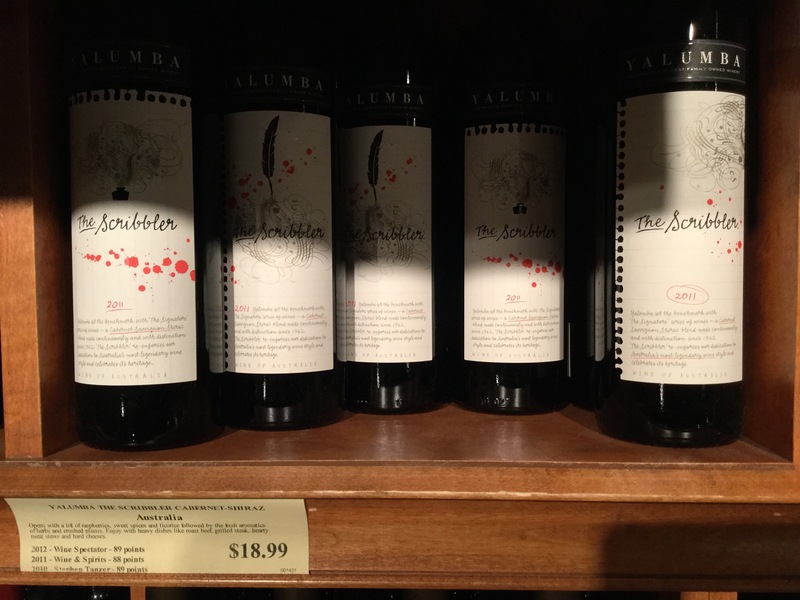 Our Yalumba ‘The Cigar’ Cabernet from Coonawarra loved the mushroom tomato salt sweet Prosciuto thing, and that was the other contender for top combo……..before the meaty main event of the lamb and velvety smooth Hand Picked Shiraz Viognier. I didn’t even get to the dessert, but I can vouch for the fact that all glasses and baby skillets went back into the kitchen empty. And the best news? The Des Moines Golf & Country Club are the hosts – in August 2017 – for one of the world golf calendar main events ….the Solheim Cup……for professional women golfers. Now the last Sunday of the golf carnival coincides with the last day of the Iowa State Fair. Then, after the dust from both events has settled, we may be the folks doing the ‘Recovery Dinner(s)’ for the locals!! Good as gold – I’m free that week!! Groin alert at Newark Airport security!! Morning folks, and I’m thrilled to bits! It looks like I’ve developed an ‘explosive’ groin whilst travelling through New York State. Going through airport security is always a trial, as I trigger the alarm properly every time, having two metal knees. So I’m put through the secondary machine where they pretty much X ray you. Last trip – travelling from Rochester, upstate New York – I triggered the ‘groin alert’ as well as the left knee. This shows up as two bright yellow boxes on the map of the girls form on the machine’s screen. Quite strange I thought, as to my knowledge, there’s nothing of an explosive nature there! Well this morning at Newark airport, I’ve done the same thing….groin alert! Now this means a very harassed female operator has to come over and offer you a private screening! I’m not going into a private room with those mostly scary looking women! No – whatever they have to do….it’s out in the open! On go the rubber gloves, then they have to scrunch and pat their way around ‘the area’ to make sure there’s nothing untoward there! Then, your hands and theirs are screened for explosive residue. So I can only assume that the machine knows something that I don’t! But I’m through security and ready to fly! Today it’s a two stage hop as I start to work my way towards the West Coast, and the end of this tour. First flight is Newark NJ to Chicago’s O’Hare airport and a ‘hot change’ of planes, and on to Des Moines, Iowa. A ‘hot change’ is one where you have less than an hour between the scheduled arrival of your first flight, and the departure of your connecting flight. 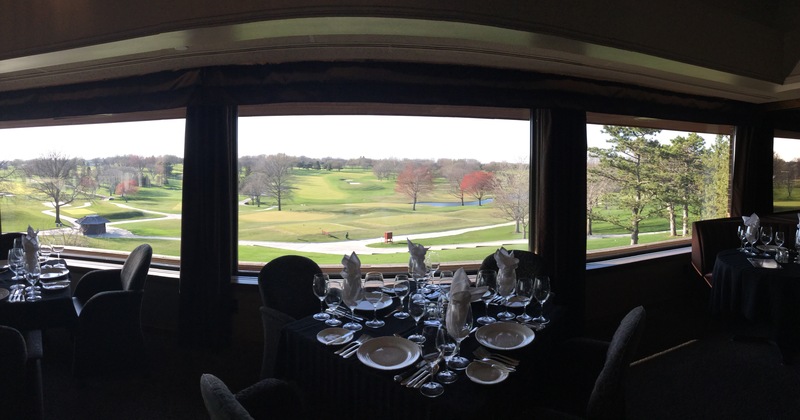 Once in Des Moines – it’s off to a consumer dinner at a golf club.This will be my first ever visit to Iowa, which means I will now be able to claim 36 of the American states that I’ve been in…..only 14 to go! So we’ll see you when it’s amongst the cornfields of Iowa. Evening folks, and I do have a bit to catch up….for starters, here’s how our two day trek through Upstate New York went. This was the first ever foray up into this part of the world for us from the winery, and after meeting two of the sales people for our distributor Winebow from Rochester – Cliff and Adrian – when they toured the Barossa last year, we were pretty keen to follow up and do events with the boys. We landed in Buffalo first, and caught up at the Black Iron Bystro with the Winebow team there – run by Rick ‘the Riesling man’ Rainey, then it was out and about with the Mini minor pilot and wine sales gal Kelsey – visits and events with two of the Premier Wine & Spirits operations in Buffalo. 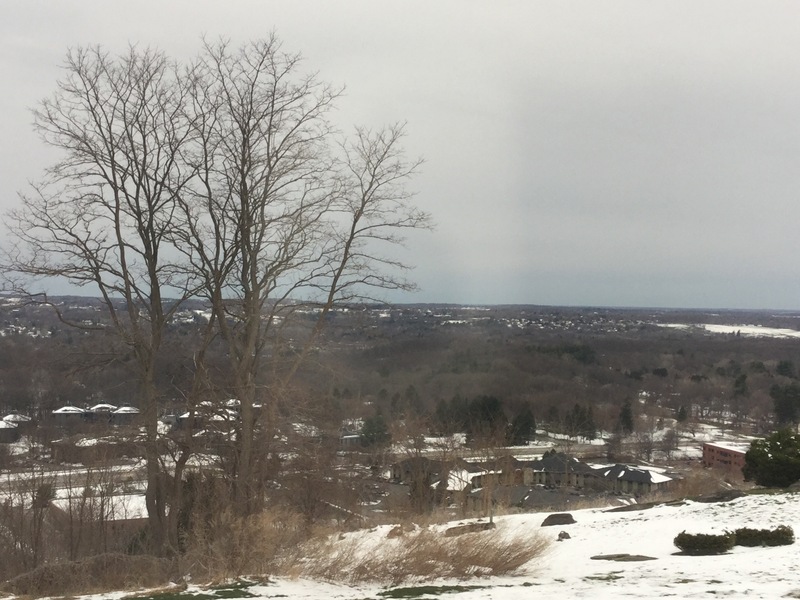 It was a very cold clear post snowfall day when we landed in Buffalo – and headed straight for the Black Iron Bystro, and an introductory lunch and tasting with our local distributor team and some folks from the local trade. So close to the Canadian border, not surprising to see the Black Iron Bystro doing their own version of the Canuck gourmet delight Poutine – fries, gravy & cheese – which goes well with everything! Quick stop at Denny’s diner for a 6pm dinner with the local seniors, and we were off to the Maple location of Premier Wine & Spirits with Kelsey to do a consumer Masterclass for 45 wine interested locals. 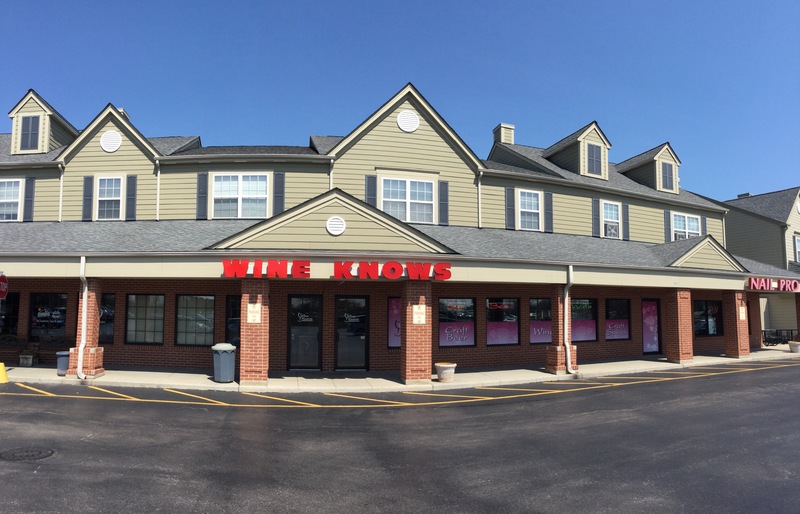 Completely forgot to take any photos, but we did well, won a lot of hearts and palates, sold enough wine to impress the wine department manager, promised to come back and do it all again……and jumped in the car to do the two hour drive to Rochester. Thanks a million Amber – our area manager for New York State – for getting us safely to the Woodcliff Hotel at around 11pm, whilst I dozed out most of the way. This is the view first thing next morning from the dining room at the Woodcliff. So that was day one of the Upstate New York cold snap back to back Buffalo & Rochester two day tour. 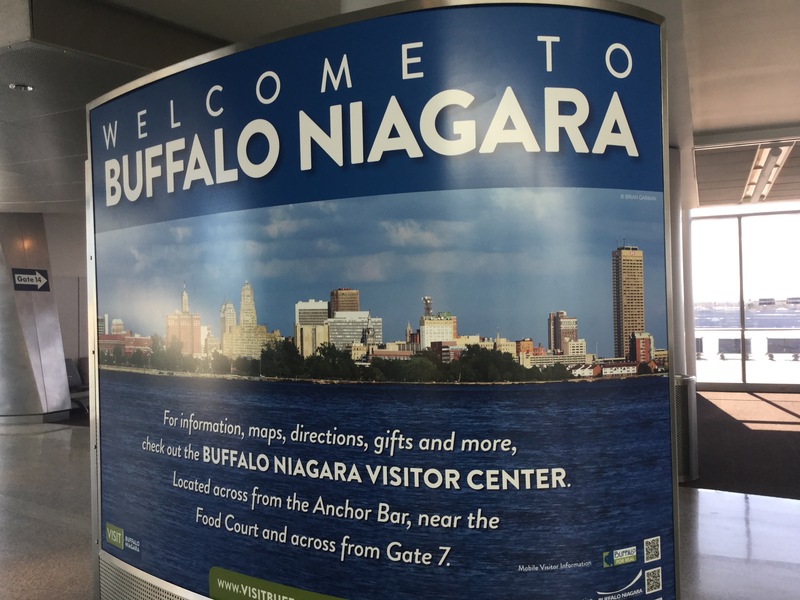 Buffalo…..thanks a million, and I think we’re in for a long and happy relationship. 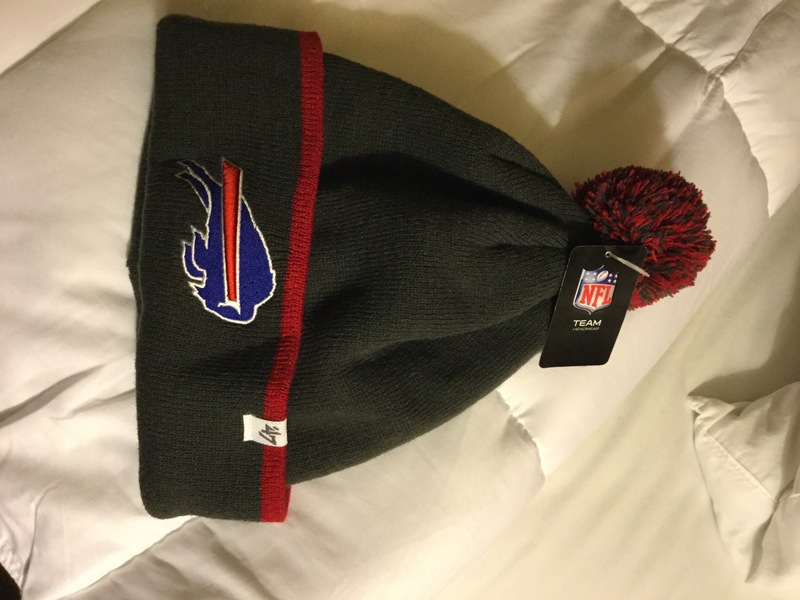 And……as promised, I’m going to back the Buffalo Bills, now that they have a new coach. 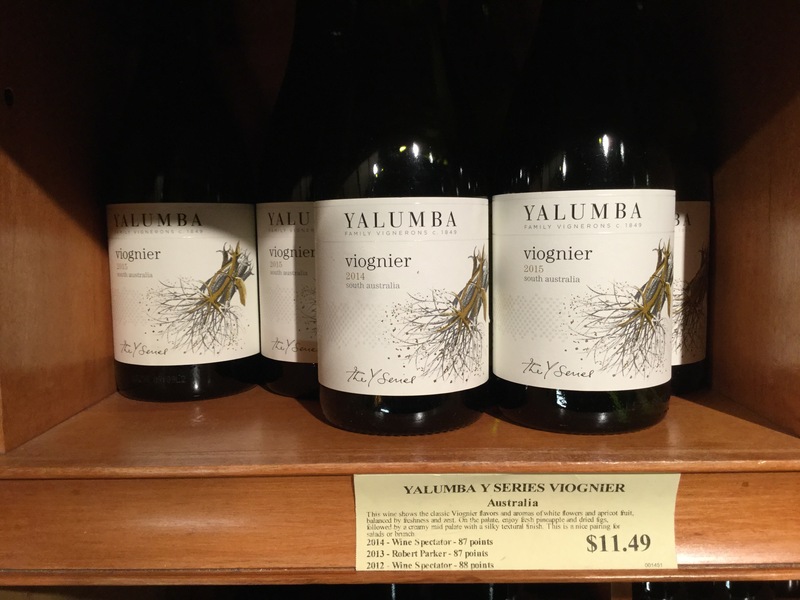 As soon as I get home, I’m putting $10 on the Bills to win the Super Bowl (we can do that in the Barossa at The Brauhaus in our Yalumba home town, Angaston)….. and will do for the next five years. That’s solid support Buffalo!! Any rate, eyes are closing, so I’ll catch up the Rochester day in the morning. See ya when it’s Monday in Manhattan.